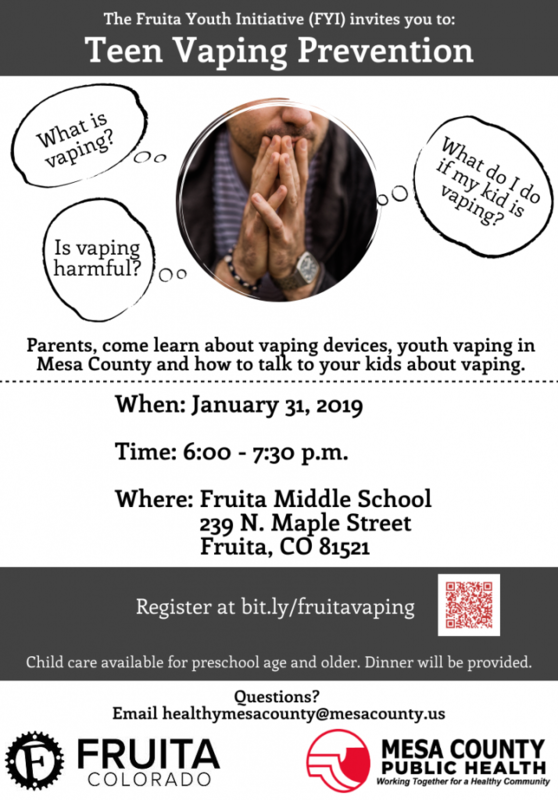 Nearly half of Mesa County high school students report ever using an electronic vapor product and one-third said they were currently using one. Contrary to popular belief, most vape e-juice contains nicotine and other harmful chemicals – not just water. FYI is committed to empowering teens to make healthy behavioral choices to avoid poor health outcomes including substance misuse, delinquency, teen pregnancy, school dropout, violence and mental health issues. 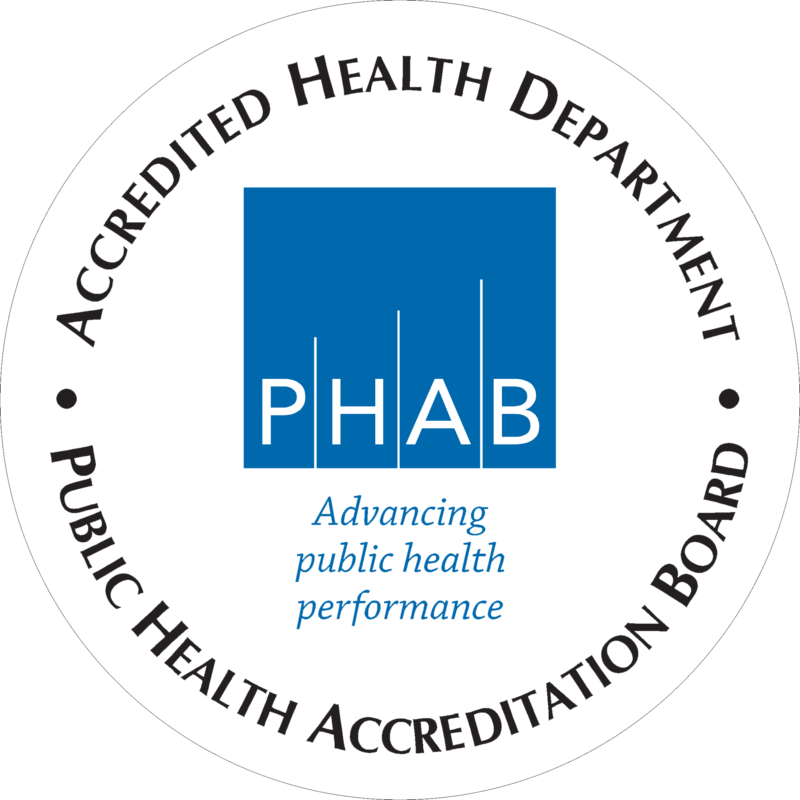 FYI and MCPH officials noted education is one of the larger components in making that happen. 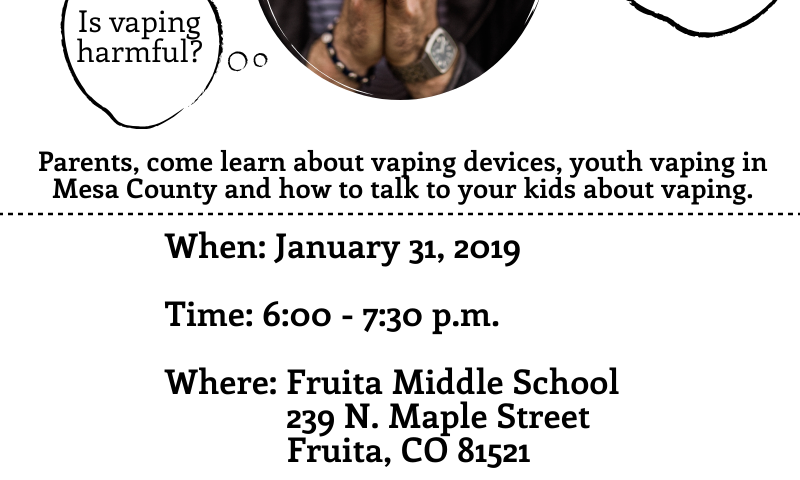 “We’re taking steps in Fruita to create healthier spaces for our community and especially our youth. 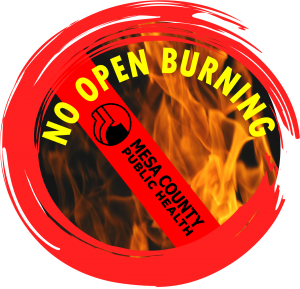 This educational event is key in keeping that momentum going,” said City of Fruita Parks & Recreation Director Ture Nycum. Child care will be available for preschool age children and older, and dinner will be provided. Be sure to register at bit.ly/fruitavaping.